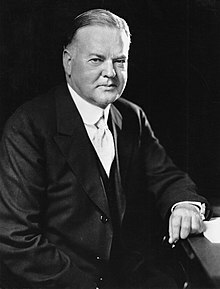 Following is a list of all Article III United States federal judges appointed by President Herbert Hoover during his presidency. In total Hoover appointed 62 Article III federal judges: three Justices to the Supreme Court of the United States (including one chief justice), 16 judges to the United States Courts of Appeals, and 43 judges to the United States district courts. Additionally, 7 Article I federal judge appointments are listed, including 1 judge to the United States Court of Customs and Patent Appeals, 3 judges to the United States Court of Claims and 3 judges to the United States Customs Court. Charles Evans Hughes was Hoover's pick for Chief Justice. One of Hoover's first appellate court appointees, Curtis D. Wilbur had previously been nominated to the United States Court of Appeals for the Ninth Circuit by President Calvin Coolidge, but the nomination was not acted on before the end of Coolidge's presidency. 3 John Lyles Glenn Jr. E.D.S.C. 22 Charles Brents Kennamer M.D. Ala.
^ Laterally appointed Chief Justice of the same court on December 7, 1937. ^ Recess appointment; formally nominated on December 15, 1931, confirmed by the United States Senate on January 12, 1932, and received commission on January 19, 1932. ^ Appointed as Associate Justice. ^ Laterally appointed to serve as Chief Justice of the same court. ^ After June 5, 1936, Kennamer served on only the Middle District of Alabama. ^ Recess appointment; formally nominated on December 16, 1931, confirmed by the United States Senate on February 3, 1932, and received commission on February 10, 1932. ^ Recess appointment; formally nominated on December 15, 1931, confirmed by the United States Senate on December 22, 1931, and received commission on December 23, 1931. ^ Recess appointment; formally nominated on December 15, 1931, confirmed by the United States Senate on January 6, 1932, and received commission on January 9, 1932. ^ Recess appointment; formally nominated on December 15, 1931, confirmed by the United States Senate on February 17, 1932, and received commission on February 20, 1932. ^ Recess appointment; formally nominated on December 15, 1931, confirmed by the United States Senate on January 12, 1932, and received commission on January 12, 1932. ^ Recess appointment; formally nominated on December 15, 1931, confirmed by the United States Senate on January 26, 1932, and received commission on February 23, 1932. ^ Recess appointment; formally nominated on December 4, 1930, confirmed by the United States Senate on January 22, 1931, and received commission on January 29, 1931.